After a long career in medicine, British surgeon Paul McMaster made a decision that most 60-something retirees wouldn't: to work in conflict and crisis zones providing medical care to those who need it most. 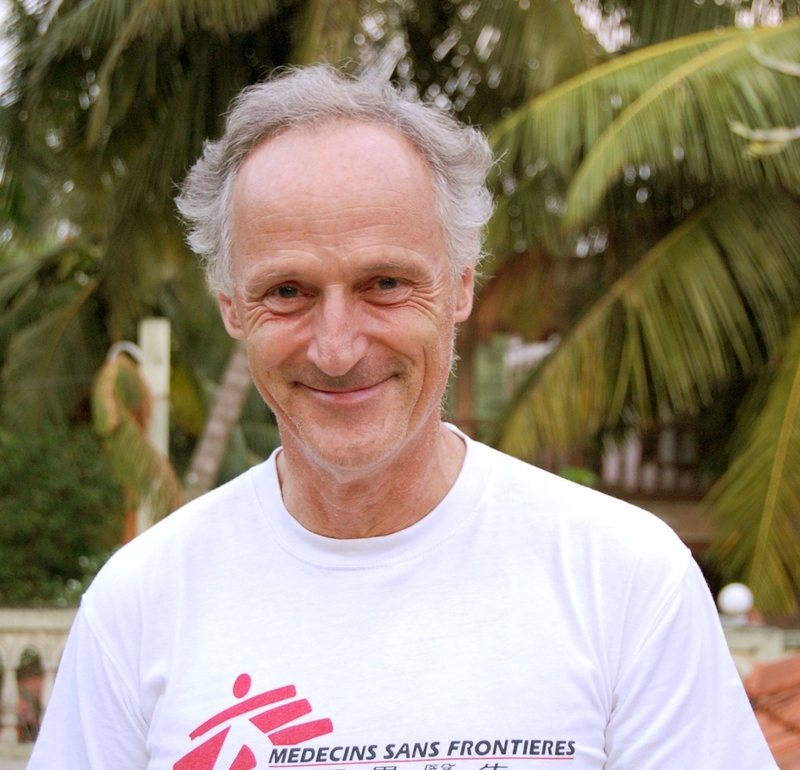 Paul spent 35 years working in clinical practice, teaching and conducting research before joining Médecins Sans Frontières (MSF) in 2005. His decision was inspired by a realisation that people in other parts of the world faced challenges that were quite different from those he encountered at home. When asked why he works with MSF, he replied: "What excuse have I got for not doing it? I have lived a very privileged life, and at the end of my career, it seemed wrong not to try and help relieve some of the misery in the world." "We're not special," he elaborated, referring to MSF's doctors and staff, "there are many people who want to do this work, and would if they had the skills and resources. Who wouldn't do it?" Paul's earlier missions with MSF were in Burundi, Democratic Republic of Congo, and Somalia, which primarily focused on surgery, maternal health and infectious disease prevention. In 2008, he became one of MSF's senior surgical advisors. Paul was instrumental to MSF’s response in Haiti, swiftly implementing surgical projects on the ground within a week of the earthquake in 2010. 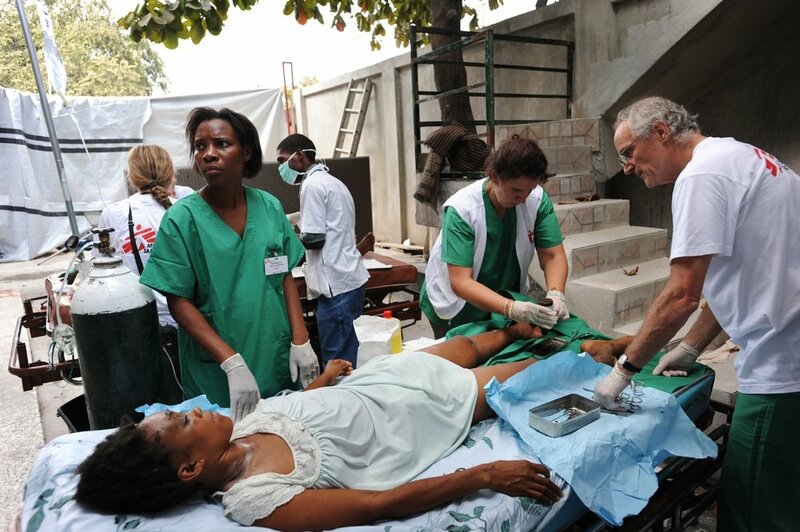 Paul works along side MSF nurses in Carrefour, Haiti, treating a patient with two broken legs. "People came, or were brought, or were carried on doors to where they thought there might be help. We had to mobilise very quickly indeed to get our teams in, flying into the Dominican Republic and driving through the night so that we could there." It was in Haiti that Paul faced his greatest challenge as an MSF surgeon; performing a lower leg amputation on a young girl with only local anaesthetic. She had sustained a leg injury in the earthquake, and it had become gangrenous. If her lower leg was not amputated, she likely would have died from infection. "It was not that it was the most technically challenging surgery that I have done, but to have to do that to a conscious child... that was difficult." In 2013, Paul travelled with MSF teams to Syria to provide care to casualties of violence, as well as to people who lacked access to basic healthcare given the context of conflict and civil unrest. He was stationed in a cave where bombings just outside were a regular occurrence. When the roof began to crumble and the operating centre started to fall, Paul and his team were forced to evacuate. "The whole place collapsed three weeks later," Paul recounted. In reflecting upon why MSF goes into these high risk places that others are often unwilling to enter, Paul remarked: "Imagine being a mother with two young children injured in bomb attacks, and having no where to go for help. What would they do if we weren't there?" "If my family and my community were in crisis, I would hope that someone would help us,"
Paul's most recent mission in 2014 took him to South Sudan, where he spent a month travelling the country to treat patients wounded and displaced by conflict. Paul's team arrived in the northern town of Bentiu shortly after conflict broke out in April to find that local hospitals had been abandoned by doctors. The MSF team attempted to treat as many patients as possible, but were evacuated the next morning because of threats of an attack. Paul continued to travel around South Sudan, eventually stationing in Lakien, where he and his team treated casualties of conflict as well as those suffering from malnutrition and infectious diseases such as malaria and kala azar. Today, Paul is the Chairman of the Board of MSF UK where he plays a pivotal role in strategic planning. He hopes to continue working with MSF, organising missions and facilitating their implementation in the field. "We cannot do what we do in MSF without your support. You are critical to our ability to respond to communities in crisis. Your understanding, your advocacy, and if possible, your support is immensely important and motivating for us."